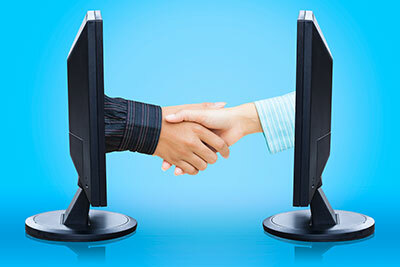 Virtual Face-to-Face: Are You Clicking With Buyers Online? “Breaker one-nine! Breaker one-nine! 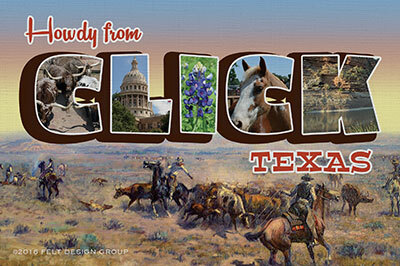 This is Java Mama rolling down I-35 from Big D on the way to Click, Texas. Any panda bears ahead?” Okay, so we may not have the ’70s-era CB Radio lingo just right, but you get the idea. We’re tuning into channel 19 as we head south from Dallas, not just because we don’t want to get pulled over, but to make a point about how Online marketing has changed your world. Long before the CB craze went mainstream, it had its roots in the bottom line of one particular business — long-haul trucking. Many truckers are paid by the mile, so it’s not unusual for them to try for 500 miles or more a day. But that business model ran into roadblocks when the oil crisis hit in 1973. The national speed limit was slashed to 55 miles per hour and fuel shortages drove up the price of gas. 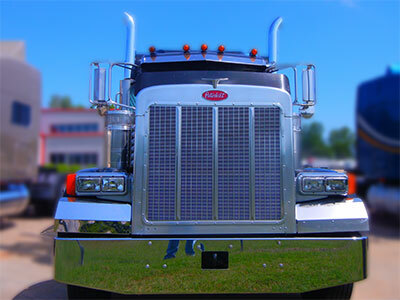 Truckers and other motorists responded by embracing the CB radio. It was the first time people could be mobile and have two-way communication. Virtual communities and spur-of-the-moment alliances formed as drivers helped each other find good fuel locations, avoid construction and foil speed traps. Many people never met in person, and yet were “friends” over CB Radio. It was more than just a fad — it was a productivity booster for everyone except the cops. The modern equivalent of this experience is the Online “virtual world.” Like the CB, the Internet has made it possible for people in different locations to share information easily — but on a vastly larger and more significant scale. The online world has changed the face-to-face “real world” forever, and how you adapt to this new reality can make or break your business. Imagine picking up the phone to find a buyer who has already spent hours learning everything they need to know about your product. You didn’t do anything to find them — no cold calls, no trade shows, no direct mail. Yet here they are with a credit card or purchase order in hand. All they really want you to do is close the sale. Many manufacturing businesses don’t see the Internet this way. They think investing in two worlds, the real one and the virtual one, is a nuisance expense that needs to be held to a minimum. But like it or not, Online has already changed your business. Your competitors used to be up the street, around the corner, or in the next county. Now they might be anywhere in the world. 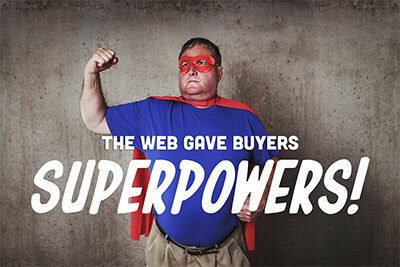 Worse, you can’t ignore the Internet anymore because it’s given your buyers new superpowers. Today’s sales conversations are shaped by how they search for products, not how you talk about them in your sell sheets or at trade shows. It’s easier than ever for price-shopping clients to throw you over for a rival who charges a penny less. And anyone with an axe to grind can literally complain to everyone they know in an instant. But as the example above suggests, the untapped potential of the Online world is vast. And most manufacturing firms aren’t taking advantage of it yet. While a connected world requires every business to step up its game, the payoffs can be huge. 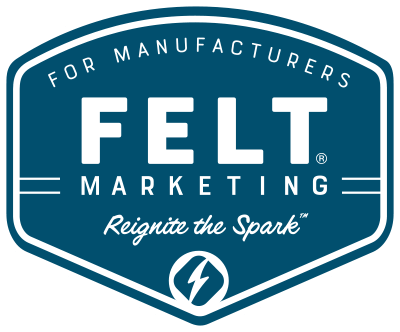 Yet for some reason, manufacturing has been slower to embrace digital marketing than most other industries. Most are content to stick with the online resources they have — however outdated they may be — as long as their competitors don’t look any better. That’s a huge mistake. In the short term, companies with a solid presence on the information “super highway” are grabbing a competitive edge and industry leadership. Soon online expertise will be part of the price of admission. Some would argue that we’ve already reached that point, but either way this much is certain: the longer you wait, the harder it will be to catch up to the rest of the pack. A window of Online opportunity is open today. Your buyers are already profiting from it, so why shouldn’t you do the same? Take advantage of it before your competitors do. 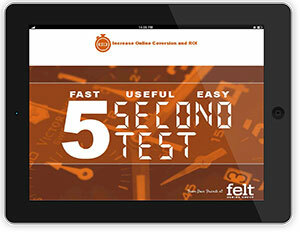 Start with a free download to see how visitors respond to your website: THE 5-SECOND TEST.